2. Safety--Precision circuit protection, intelligent program protection, safe power protection, overheating, overvoltage, overcurrent triple defense, fault automatic detection. Ensure long working hours. 3. Industrial grade design, rapid heating.This electric grill with the Microcomputer control adopts dual core design, which can be easily controlled. 4. Large capacity grill pan--Aluminum alloy material, excellent thermal conductivity, uniform heat, high temperature resistance; Non-stick Teflon surface coating, wear –resisting and environment protection; Eat healthy and rest assured use.Fully enclosed aluminum alloy high shaped heater has great heat conduction and thermal effect, the thermal effect up to more than 96%. Energy saving effect is obvious. 5. Convenient --Dismountable upward movement 304 stainless steel oil drip pan, made of the perfect industrial grade mold,40MM super deep; Corrosion resistant, against rust and easy to clean. 6. Tempered glass lid--heat-resistant, easy to clean, nonbreakable. 7. Intelligent electric ceramic plate heating-- dual ring control thermal power, intelligent control temperature, the service life is longer, the quality is more stable. 8. Touch sensitive control panel--Humanized anti-scald design, waterproof and oil proof, temperature adjustment, convenient and safe, simple operation. 9. Unique design stainless steel housing--Long service life. 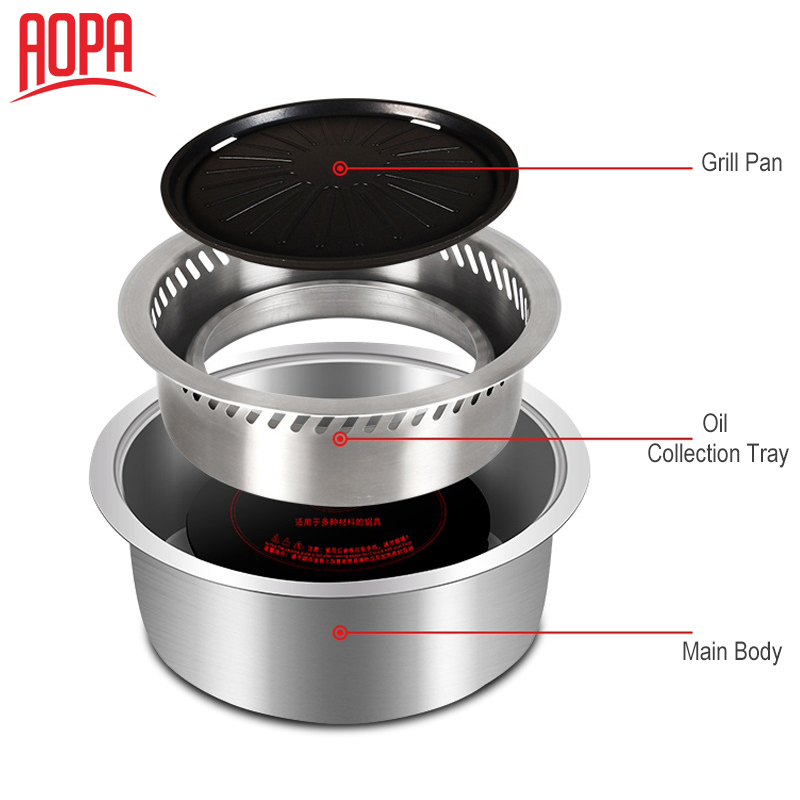 10.Multi-function- Free collocation of grill pan (Two kinds of grill pan: standard grill pan and grill pan combine with 195mm depth 304 S.S pot) help to meet different needs of customers. 11.The built in electrical bbq grill can be barbecued separately, or it can be barbecued and hot pot at the same time. 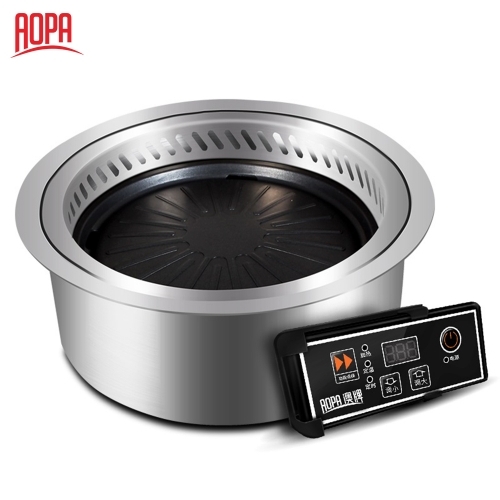 So you can choose the ways of bbq or hot pot according to your need. 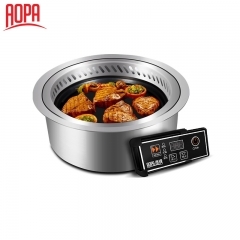 ● Easy to use: It is better than charcoal grill and gas stove as electric BBQ Grill is easy to use and manage for the waiters. ● Save cost: It can reduce the number of waiters when using the BBQ Grills. ● Clean and sanitary: BBQ Grill is easy to clear as it has no smoke and meat isn't easy to stick pan when it is working. ● Beautiful and generous: The appearance design of BBQ Grill is original and nice. Its embedded design is classical. The body, oil collection pan and pot are pressed through pattern with material of the high-quality stainless steel. ●BBQ Grill has a separate control system: LCD display and Led digital display touch switch and wire control switch. So you can have many choices. And it is more convenient and safe as you can control its temperature by yourself. 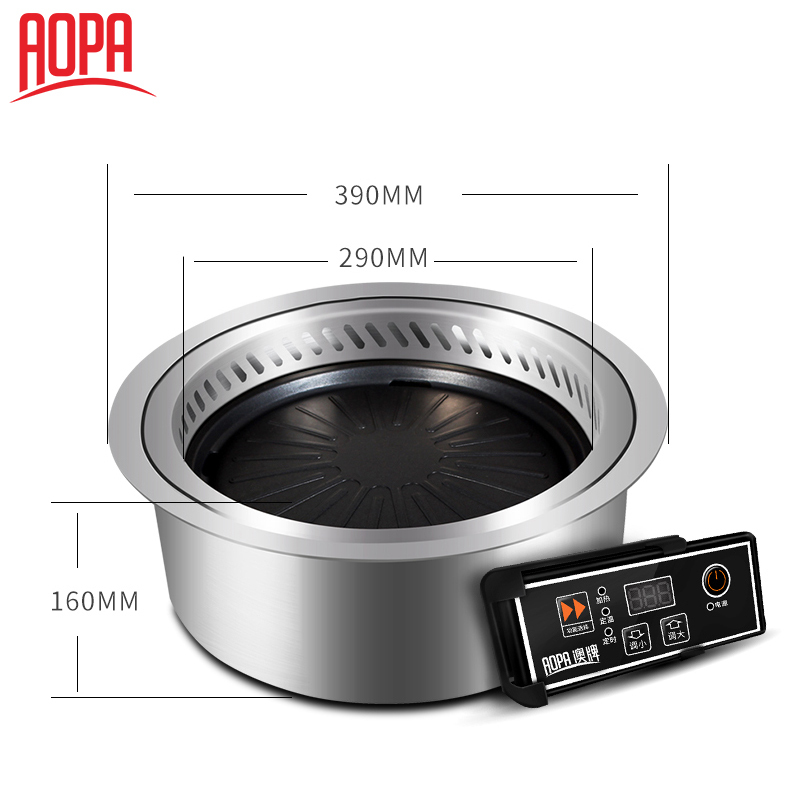 1.10 years professional R&D and produce in induction cooker solutions, with high-quality products with CE CCC certificates,sale on worldwide. We have a senior R & D team to provide you with more professional products and services. We own professional quality management, process inspection team and experienced sales team. 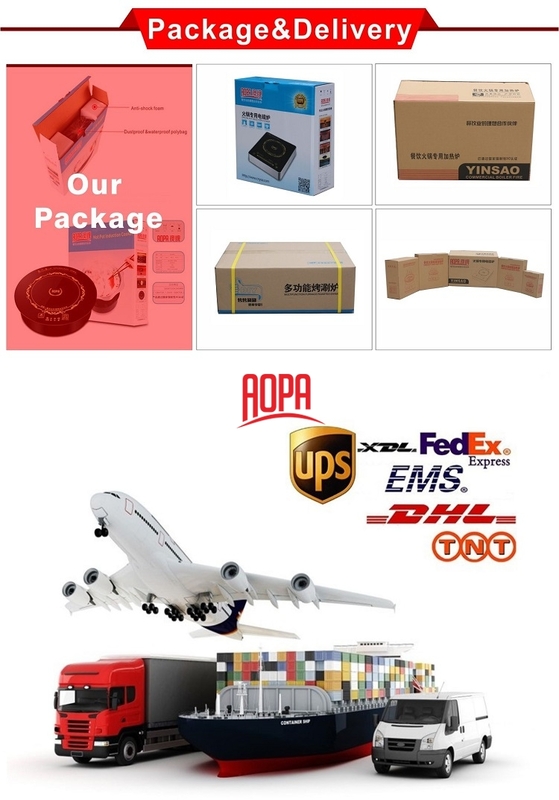 All the customer appeals can be dealed with quickly and effectively. 9. Inquiry response: Your inquiries will be replied within 24 hours.